Want to focus your time and attention on the healthcare needs of your patients? 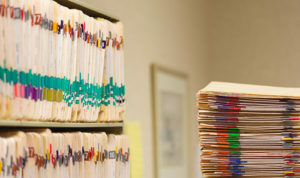 Would your staff be better served providing great customer service to your patients, instead of taking care of the seemingly endless ‘paperwork’ required by insurance providers and government agencies? Medical professionals like yourself should actually do what they dedicated their life to — Practicing Medicine! Let AMD Medical Billing and Credentialing Services, Inc. take on the behind the scenes work of your practice so you and your staff can devote your attention to the care of your patients. We promise you won’t miss waiting on hold for hours with an insurance company trying to follow up on all those unpaid claims. Allow AMD Medical Billing and Credentialing Services, Inc. to take denials and convert them back into revenue! Revenue that can be used for staff, equipment, or anything else your practice may need to thrive in the long run. We will check all superbills or encounter forms for correct coding and will send claims electronically or via paper when necessary. We also submit to secondary and tertiary insurances. Claims follow-up is one of our strongest services. Our staff is very diligent in following up on every claim and making sure reimbursement is exactly what it should be! Remember, We Don’t Get Paid Unless We Get You Paid! A patient will receive 3 statements from us, one every 30 days. We use “soft” collection methods with patients which include “non-severe” collection letters. At the 90 day point, we will discuss with you the option of sending the account to collections. The ultimate decision remains yours. We post all patient and insurance payments. Any payments that are not through electronic remittance advice (ERA), simply scan us a copy of the EOB. We appeal any claim that has been improperly paid or denied. We keep track of the amount of visits a patient has remaining on his/her referral so you don’t have to. 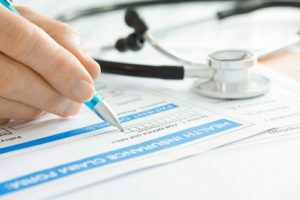 AMD Medical Billing and Credentialing Services, Inc, is a full Practice Management Medical Billing company, and we are ready to tailor our services to fit your practice’s needs. We use our many years experience in medical billing to help you finally get paid what you deserve. AMD Medical Billing and Credentialing Services, Inc., has a very strong and productive means of claims follow-up. We understand the importance of a constant stream of cash flow for your practice, our follow-up services are one of our strongest and productive services!